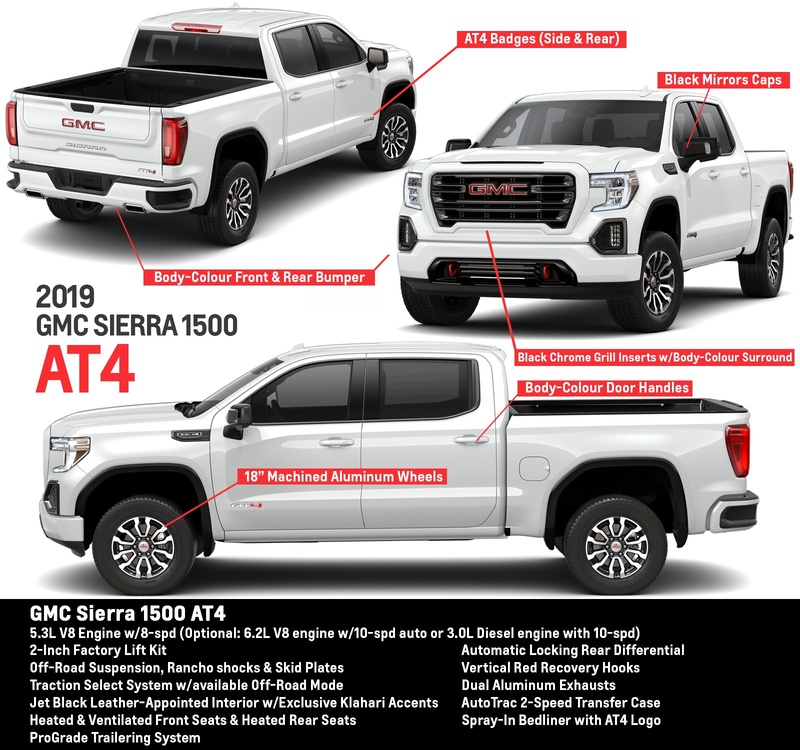 The 2019 GMC Sierra 1500 is officially here! As ever, the new GMC Sierra shares the same engines and chassis with the Silverado – its twin from Chevrolet – but the trims and exteriors are now entirely different. 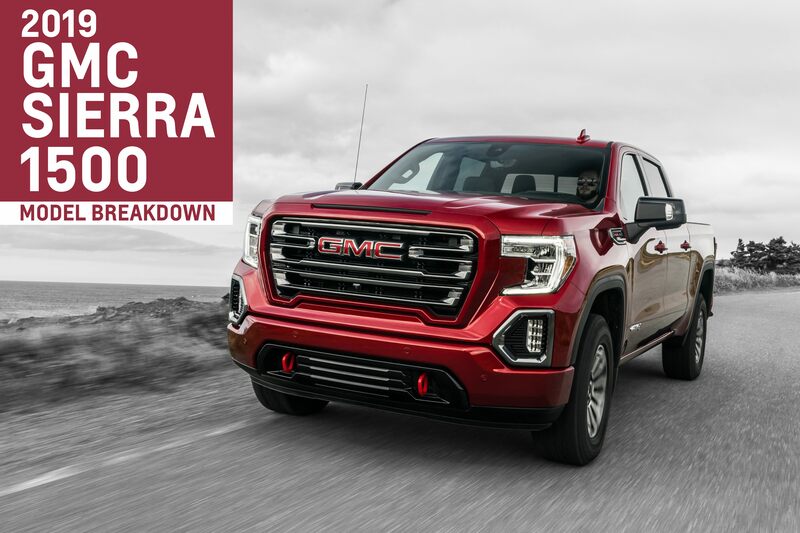 Here’s what you need to know when you’re shopping for the 2019 Sierra. The 2019 GMC Sierra is a brand new truck. It sits on a brand new chassis and offers a whole new look with various grills that further differentiate each trim level, a brand new interior with more connectivity, new engines like a diesel and a turbocharged four-cylinder, and new packages. The old truck was offered from 2016-2018 while the new one begins as a 2019 model. It’s available in six different trim levels. 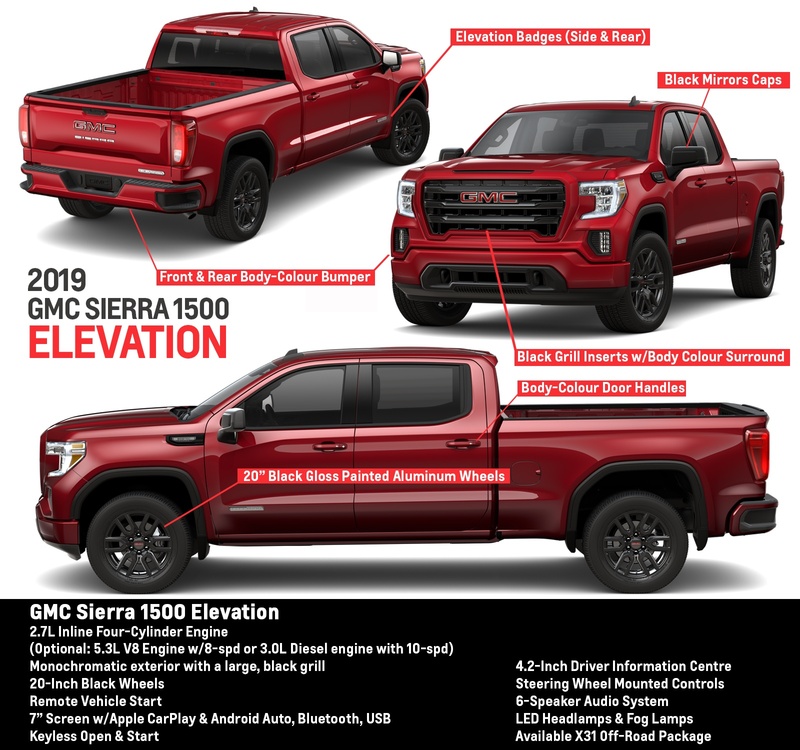 The new truck offers more trim choices than ever before, which means Sierra buyers can find a truck that suits them best. Each trim level also offers a distinctive appearance which means you’ll stand out no matter which you pick. The interior is all new, but still familiar. 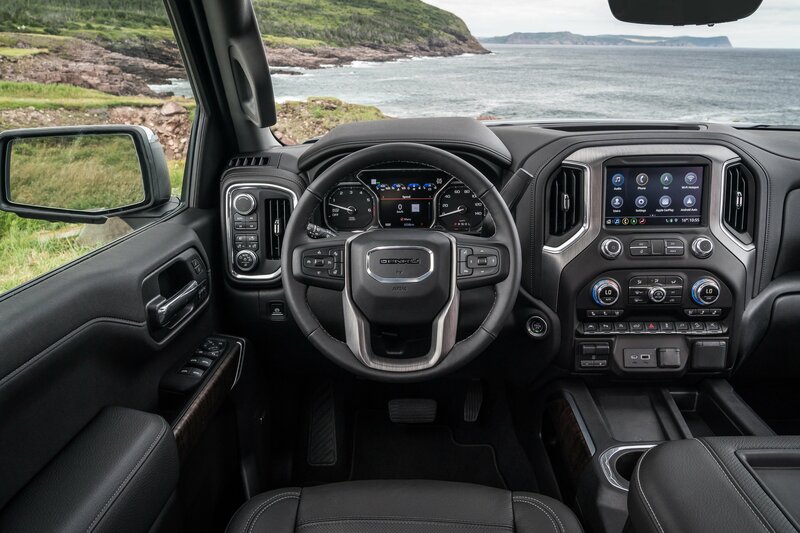 GMC received lots of positive feedback from Sierra owners about the interior, which means the new truck feels familiar as various themes and layouts inside were carried over. Every GMC Sierra now comes with a 7-inch or 8-inch touchscreen with Apple CarPlay & Android Auto for super simple phone connectivity, a 6-speaker audio system (or better), power windows and locks, rear air vents, 3.5-inch Driver Information Center (or larger) and more! Choose from five different engines. Sierra offers more engine choices than ever before including the legendary 5.3L V8 engine, a brand new 2.7L inline four-cylinder engine, a new 10-speed automatic transmission and a brand-new 3.0l Duramax diesel engine that’s expected to arrive later in 2019. Yes, diesel in a 1500 is now a reality! Looking for the perfect model? Below you’ll find a breakdown of the basic features in each new model. As always, the new Sierra offers dozens of options and features many of which we have not included below. So, if you don’t see an option or feature listed here, dont’ fret! Take a look at our Build and Price tool or drop us a line at dsinger@wallacechev.com or visit us at 801 Main St. E, Milton.